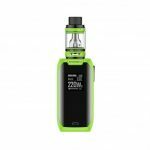 The Revenger Kit is Vaporesso’s new flagship kit that features the Revenger 220 Mod and the NRG Mini Tank. 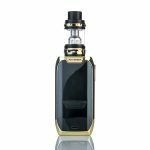 The Revenger 220 Mod is capable of firing up to 220W with a minimum resistance of 0.05Ω and includes multiple vaping modes. The NRG Mini tank features a slide and fill top cap design for easy filling and a unique mesh drip tip to prevent spit back.